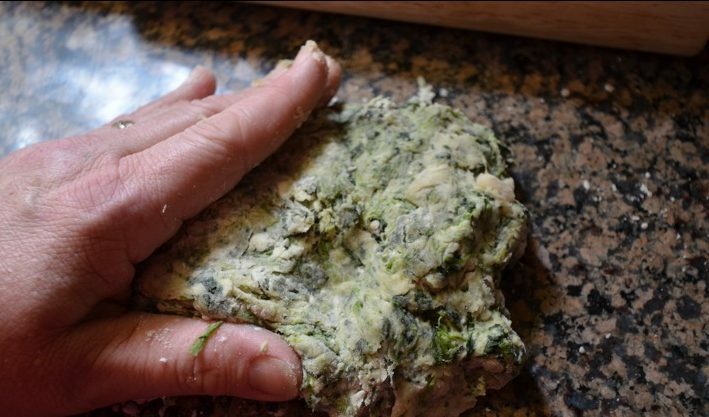 My teenagers just love these spinach wraps I make from scratch in under 15 minutes. 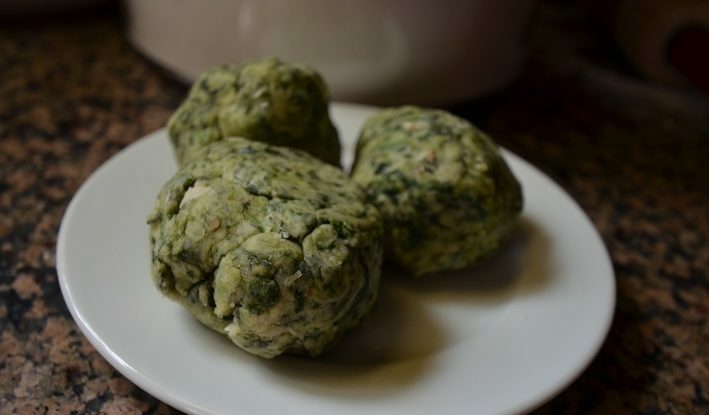 Soft and packed with vitamins with spinach you can grow in your home garden and harvest in 2-3 weeks. This is a great way to sneak in those extra vitamins teenagers need. 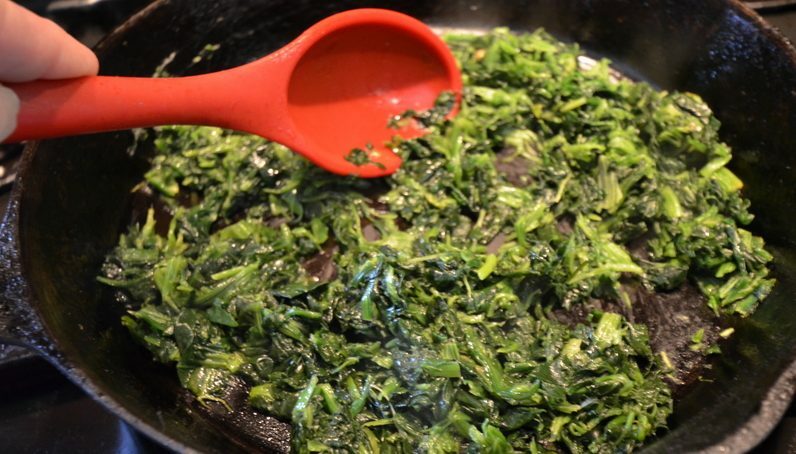 In a large pan or skillet over medium to medium-low heat, cook spinach in water about 5 minutes. In a mixing bowl, combine flour, salt, garlic and oil. 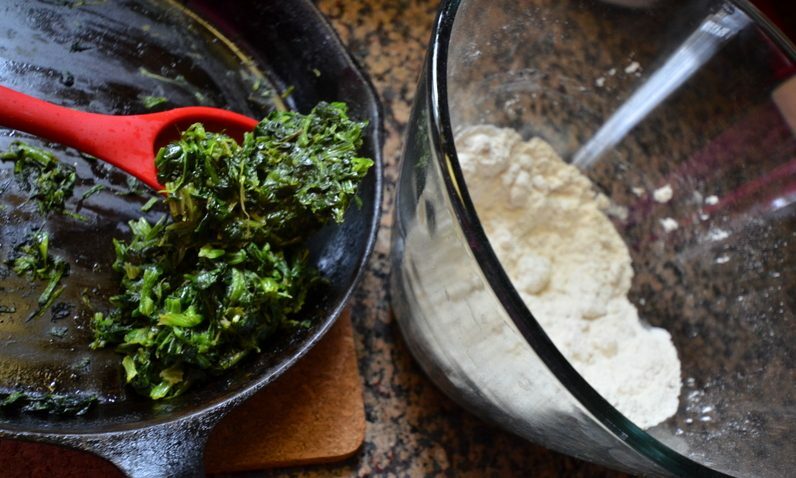 Add the spinach mixture with remaining water from pan kneed in to flour mixture adding additional flour as needed. 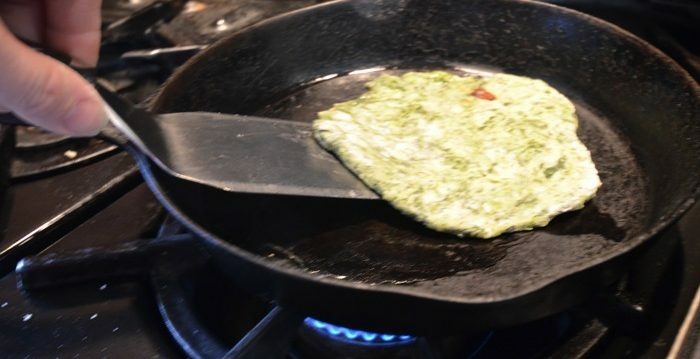 Add 1 tablespoon of olive oil to pre-heated skillet. Roll out each ball into a 8” circle carefully adding to the hot skillet. Cook each side 5-10 minutes or until lightly toasted. Serve right off the grill or keep warm until ready to serve up fajita. 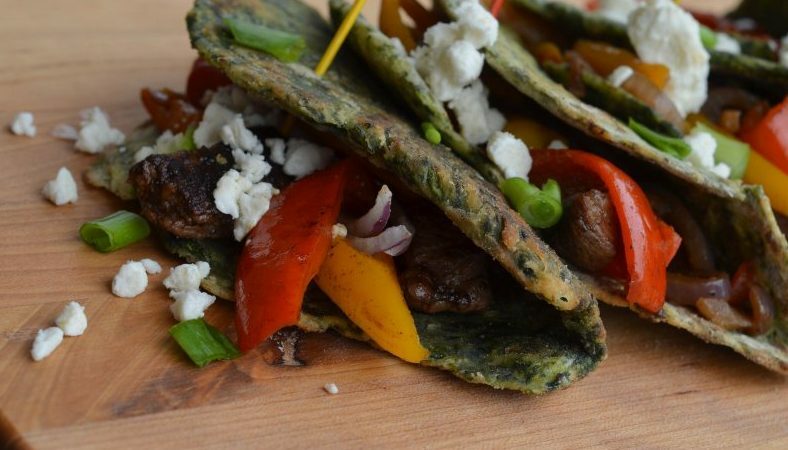 Serve with your favorite fajita mix like grilled steak, red peppers, onion with crumbled Cotija cheese on top. I’ve been growing a few different spinach varieties since 2010. I fell in love with the vine growing variety called Malabar spinach. When growing spinach it is important to feed / water it as needed. Do not let the plant get dried out. My plants love it when I use the fish water in the dome each time I water. Be sure to harvest the spinach young when the leaves are only 2-3 inches long. I’d love to hear from you and what you think about spinach. Have you grow it before in your home garden? Please be sure to comment below or tweet me by clicking below.